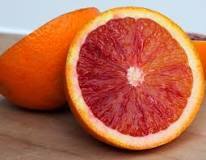 We’ve been impressed with the rich maroon color of the blood oranges coming in our boxes recently. This is a bit more tart than a regular orange with the perfect citrus zest to create a delicious salad dressing. Perhaps the cabbage and daikon will make delicious counterparts this week! Enjoy this RECIPE from bon appetit!